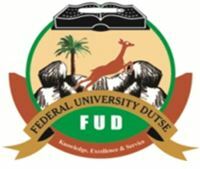 This is to inform the general public that the Federal University of Dutse, FUD has introduced Proficiency programme in Arabic, and that application forms are on sale. How to Apply for FUD Proficiency Programme in Arabic Admission Form. Account Name: Federal University of Dutse. Completed application forms should be submitted to IJMB office FUD or Remedial and IJMB programme Kano Campus No:S268 Daurawa, Opposite Rukkaya House, Maiduguiri Road Kano. For Further Enquiries Contact the Following Numbers: 09031738771, 08037032235, 08066361956. NB: The program will also be conducted in Kano as a branch.